BANDUNG, Indonesia --- The Indonesian Air Force has ordered eight additional twin-engine multirole H225M helicopters as part of the country’s fleet-strengthening initiative for a combat search and rescue-capable fleet. Under the agreement between the Indonesian Ministry of Defence and PT Dirgantara Indonesia (Persero) (PTDI), the 11-ton combat-proven helicopters will be delivered to the air force upon reassembly and completion of the mission equipment outfitting and customisation by PTDI at its facility in Bandung, Indonesia. These additional helicopters will join the air force’s existing fleet of six H225Ms to perform similar combat search and rescue missions. Airbus Helicopters and Indonesia have an enduring relationship of over 40 years dating back to 1976 when PTDI first obtained a licence to produce the NBO-105 helicopter. Specifically on the H225, PTDI became a key supplier of the helicopter’s rear fuselage and main airframe in 2008, with full production in place in Indonesia by 2011. 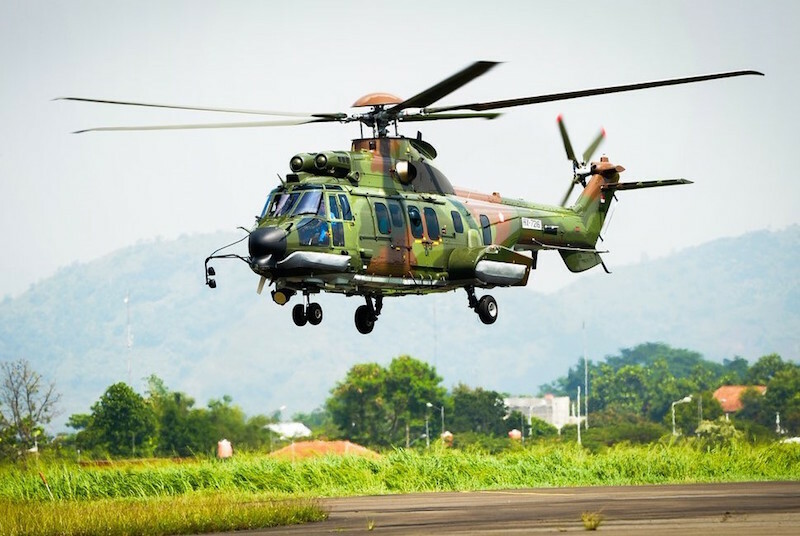 The two companies expanded the industrial co-operation in 2017, to include support and services dedicated for the Indonesian military fleet of helicopters. The H225M is currently in service across the globe with 88 helicopters delivered to-date. It recently surpassed the 100,000-flight hour milestone, following its first delivery to the French Air Force in 2006. Since then the H225M has proven its reliability and durability in multiple combat environments and crisis areas. A member of the multi-role Super Puma family of helicopters, this military variant is currently operational in France, Brazil, Mexico, Malaysia, Indonesia and Thailand, and has recently been ordered by Hungary, Kuwait and Singapore.